Blurb: When Lily Dietz, an ambitious yet short-tempered Asian-American NYPD homicide detective, and longtime partner John Fremont begin to work a unique but gruesome murder case, cryptic clues in the evidence start to link with Lily’s dark and troubling past—one deeply imprinted with many psychological and emotional issues. Borderline manic-depressive and a self-destructive alcoholic, Lily is strikingly beautiful and spoiled by her younger brother, CJ, a NBA All-Star basketball Knicks player, due to guilt uprooting from their own family history; separations of heart-wrenching losses and disappointments. The hunt for the killer escalates when the detectives discover more than one murder. Someone with cruel and twisted intentions motivated by a taste for sophistication yet also depravity is targeting and brutally mutilating Asian-American women. And somehow, the murderer knows Lily far too well. Soon the game of cat-and-mouse becomes a thrilling chase from beginning to end, where Lily’s reality is skewed and the people in it begin to doubt her, not only as a detective but as a person. Who will be able to save this damaged soul? Or who will be the one to destroy it? Suzanne Spiegoski is the author of, The Fisherman’s Lily and has been published in the Michigan State Press, Complex’d, L’Oeil de la Photographie, Westfall Music Group, Figure Skating in Harlem and Backstage. She grew up in Los Angeles and Detroit, and has a B.A. in Criminal Justice from Michigan State University. She is also a photographer and professional figure skating coach. She lives in New York City with her husband and German shepherd, and is currently working on her second novel. The uproarious crowd clamored all the way from the nosebleed section down to the courtside seats. Nearly 9:15 P.M. on a Friday night at Madison Square Garden, the Knicks, trying to reclaim what was once theirs, battled with the Lakers along the court. It was the beginning of a very long season as trade-offs had been made and contracts dealt. Second-choice in the NBA draft three years before and now playing for the Knicks, CJ had established himself to become one of the first Asian-American basketball players in history. Fairly small compared to his other teammates, the point guard had worked hard to become who commentators now claimed was the next Jeremy Lin. His dark, shaggy brown hair plastered onto his face due to the sweltering game. Eight seconds to half time CJ ran down the court drenched in his number fifteen blue-and-orange basketball uniform. He dribbled and eyed for a pass to one of his players. He got a look, stopped at the three-point line, and then faked it. He passed the assist for an alley-oop from his center player, who threw it down with a slam-dunk as the buzzer went off. The entire arena went wild, as he had just helped tie the game: 42-42. CJ handed out high-fives to his teammates, who were also his friends, then reached for a towel to wipe off his sweaty face. While doing so, his eyes gazed among the seats, almost as if he was seeking approval. Slowly heading for the locker rooms, he was approached by one of the reporters, but seemed more concerned about something other than the game. He saw a woman sitting in one of the courtside seats. In her mid-thirties, she scrolled through her iPhone with one hand while the other tucked her straight jet-black hair behind her ear. 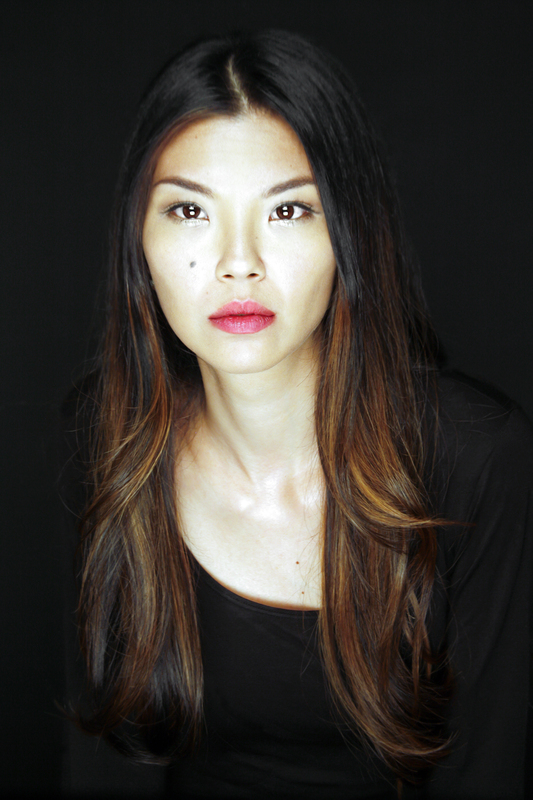 She was quite beautiful, clearly Asian, 5’4″, and had almond-shaped eyes and a very slender, toned athletic figure. She stuck out like a sore thumb, for she was not in the typical attire for a place like this. Her tailored all-black suit elongated her body as well as perfectly matched her spotless black leather boots. As she put away her phone, she proudly stood up and caught CJ’s glance. She gave a very discreet wave, almost as if she did not want anyone to notice her. CJ did, however, see her, and knew her very well. He knew she had to leave. Though he was obviously disappointed by her departure, he gave her a wink after he wiped off his dripping face with his jersey. The woman reporter shoved her microphone close to CJ’s face and began the rapid interview on the status of the game. Not acknowledging his gratitude, she slipped into her black 1980 Jaguar XJ6. The leather seats were also completely black with a fine-charcoal trim, and included an installed GPS system and several cigarette butts within the ashtray. As she lit up her Dunhill cigarette, she jittered with her Zippo. She took a deep drag and relished the taste within her mouth. She was never the type to ever wait too long to smoke anywhere, but if she was at one of the games, she always made this exception. As she started up the car and began to pull out, the tires squealed along the smooth and slippery parking lot. She quickly pulled out from Penn Plaza Drive and made a sharp right turn onto 31st Street. Without any given thought, she made another quick right turn onto Eighth Avenue, blowing numerous red lights. The signature sounds of honks and sirens were nearby, yet it was no profound distraction to her. She kept speeding all the way to 58th Street, arriving in less than ten minutes flat. Her cell phone continuously rang, but she ignored it. She discovered near the Central Park entrances that the west entrance had been completely blocked off. Frustrated, she roared nearer to the Plaza Hotel, screeching her tires once more into a nearby parking area. She vigorously jumped out of the car, left her keys in the ignition, and wrapped a clip-on badge around her neck. Another parking attendant curiously ogled her while she began to run toward the main south-end entrance into the park. 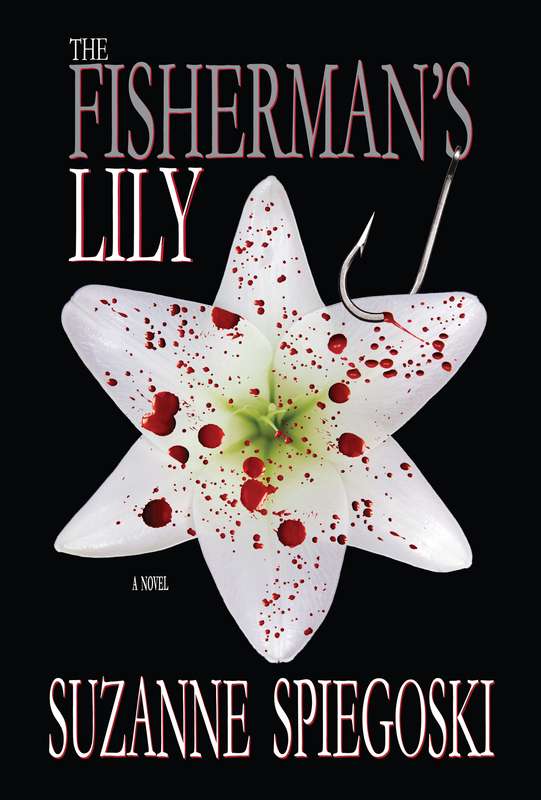 This entry was posted in Author Spotlight, Crime, Mystery, Thriller and tagged crime, crime thriller, fiction, promo with excerpt, Suzanne Spiegoski, The Fisherman's Lily, thriller.